The #1 Way To Get Your Kids Hyper Yet Keep Them On Their Guard, too! As a 21st Century teacher, are you tired of seeing your students uninvested, lethargic, detached, bored, and disconnected in your E.L.A. classroom? Sounds dismal, doesn't it, but when kids think of anything related to the English Language Arts classroom, this is how they feel. And from my vantage point as their teacher, this is the bleak scene I see spread out before me like a wet blanket at a picnic. I urge you to learn about and to implement HyperDocs in your classroom! HyperDocs give students the freedom to Engage, Explore, Explain, Apply, Share, Reflect and Extend. Additionally, by also using GoGuardian, you can monitor students as they work and make sure this is indeed what they are actually doing in your room. 1. You will find out what a Hyper Doc is and is not. There are a ton of links that show you types of HyperDocs and will even help you to create one of your own! 2. You will learn how I implemented one in my classroom. It will help you to see how it works. 3. You will learn about GoGuardian. I give a brief overview at the end of the post. 4. You can use both no matter which grade or subject you teach. **And, you should feel free to click any and all the links throughout this post to explore more on your own! I had no idea what a HyperDoc was, for I had never heard the term. Have you? According to Kristen Berg of Berg's 21st Century Tools, HyperDocs "are digital lessons designed to give students opportunities to develop digital literacy. They come in many different formats with the general purpose of giving students access to resources, and opportunities to collaborate, communicate, create and think critically." First, if you have no idea what a HyperDoc looks like, visit the Hyperdocs.co. website to acquaint yourself with HyperDocs. The information below comes from their website. These are the ladies who created HyperDocs! These are The HyperDocs Girls- Kelly Hilton, Lisa Highfill, and Sarah Landis! Make sure that when you create a HyperDoc, it is not just a digital worksheet. 1. Is your HyperDoc based on a specific lesson design? Shifting from the explain, apply, assess cycle of learning to explore, explain, apply model is a first step in moving from a lecture-based classroom to one which values inquiry learning. 3. What level of critical thinking and technology did you integrate? Is this a simple recall task or does this push your student's thinking? Is it substitution or is the technology used to transform the learning?" Click here to see how to build your own HyperDoc! **For the purposes of this post, I won't show you how to build one; I encourage youto peruse the various templates, and I shall let you do that on your own. **However, I will show you how I used one in my classroom and how it is, indeed, a HyperDoc and not a digital worksheet. I hope you are ready. Let's begin! Tip #1: How I made my students Hyper! This is an E.L.A. lesson on how to create an introductory paragraph. I go in-depth to let you see how the HyperDoc worked in my room. This year, our middle school received Chromebooks, and for me, this was a scary new addition to my E.L.A. classroom. However, a HyperDoc helped change my perspective! 1. You Engage your students. 2. They set out to Explore the topic. 3. The object of the lesson is Explained. 4. They Apply and Explain what they have learned. 5. They Share what they have learned by collaborating with their teacher/peers. 6. Teachers can/will Evaluate student learning using formative assessment and student self-reflection. You can also provide a rubric so students understand how they will be assessed. 7. Student learning can be Extended by providing further resources for future inquiry, and students will utilize the skill learned in the future by using it in a different situation. Again, if you have no idea to what I am referring, I encourage you to go to this link: Hyperdocs.co for there are ready-made samples of HyperDoc lessons in many different subject categories. There are a ton of them, and you are sure to find one that fits a subject that you teach. Set Up: I wanted my students to review how to write an introductory paragraph. By eighth grade, students have been writing essays for some time, so a whole-class lesson on how to craft an introduction did not seem necessary. The concept just needed to be reviewed. Therefore, I decided it would be the perfect time to create a HyperDoc for my students. HyperDocs aid in the gradual release that all teachers are striving for with their students. YAY! Action: Intrigued, I located one and tweaked it for my own purposes. First, first I found a HyperDoc template, and I designed it to fit the needs of my students. Since we are using Google Chromebooks, I created it in Google Slides, and then I created an assignment, made a copy for each student, and voila, I sent it to each of my students. The Google Slides Introductory Paragraph HyperDocs enabled me to embed a link to a Youtube tutorial on the proper way to write an introductory paragraph. Click on the link above to see what the HyperDoc looks like that I used with my students so that you will understand the process I explain below. Mine is very simplistic in its design; yours can be more sophisticated, but nonetheless, it proved to be an invaluable teaching tool for me and my students. It reviews each of the 4 elements of the introductory paragraph and provides a place on each Google Slide for students to take notes, apply and share what they have learned by color-coding and by practicing writing an introduction, and then applying what they had learned by extending the skills learned as they apply them to the essay class assignment. A. They ENGAGED by reading the slide with the specific directions which EXPLAINED the objective of the lesson. B. Then, students EXPLORED by donning their earphones and listening to and watching the video on how to craft an introduction from start to finish. the bridge sentence which explains how the hook relates to the thesis without yet mentioning it. thereby creating an inverted triangle. Students would start out general and become very specific by the time they arrived at the thesis statement. C. Though this was a review of an introductory paragraph, it would prove to be a bit more challenging than ones they had crafted in the past. For some of my students, they were never introduced to writing an introduction this way, so they needed to focus as they engaged with the video. D. As they explored, students worked at their own pace, for the HyperDoc enabled them to go back and revisit parts of the video on the introductory paragraph as many times as they needed because it was right at their fingertips. A. While students listened and watched the video, a slide was provided where they could type notes. B. Then, students were instructed to go to Padlet (I plan to do a future blog on this site) where they would write on a virtual sticky note about what they had learned from the video about the inverted triangle concept of writing an introductory paragraph. It would then post on the virtual classroom board. Students enjoy it. It's fun for the teacher, too. Instead of sticky notes all over the whiteboard, it's all on the computer! Students could see what their classmates had written. So, this stage required them to think critically and also SHARE. C. After the Padlet activity, students went back to the HyperDoc and found the slide that had an example of an introductory paragraph. Students had to read it and then identify its parts by color-coding each of the 4 components necessary for an effective introductory paragraph. D. Finally, they practiced writing an introduction as well. On the next slide after color-coding, they had to choose between two prompts, and this is where students would practice and APPLY what they had learned. E. Again, they could return to the video or the color-coded paragraph for help. They could also utilize a slide in the HyperDoc that lists the 4 parts of the introduction in the order they appear in the paragraph. F. As students progressed through the slides, they could change font styles and colors to customize the HyperDoc to their own learning style. So, it taps into a student's modality of learning. G. Moreover, no more paper and pen. This Google Slides presentation will live forever in a student's Google Classroom Stream. None of my students can whine and say they have lost it. I know where it endures forever! Whenever they need to write an introductory paragraph for any class, not just E.L.A., they can find it right here as they have easy access. H. In addition, every year students tell me they know the basic parts of an introduction, and although they can name the parts, they can't always apply them to an essay we are writing. Thus, this HyperDoc requires not only understanding of the definition of each piece of an introductory paragraph, but the application of each component as well. The HyperDoc gives students a place to do all of this on their own and at their own pace. A. When my students finished writing the practice introduction in the HyperDoc, they shared them with me, for they "turned them in" to me in Google Classroom. Communication: I reviewed each student's introductory paragraph by commenting on the slides about what was working and what was not. Thus, I was able to very easily and quickly formatively assess who was at mastery level at crafting an introduction, and who was struggling with this application. Collaboration: As a follow-up to my comments, I easily returned each HyperDoc to its creator, and if they needed to make corrections, they would revise and edit and then SHARE it with me again. Also, since this was done in the classroom setting, I could help students who were struggling or didn't know how to correct one of the elements of the introduction I had commented on. Students could come forward and ask me a question, and I conferenced face-to-face with these students. A. Now that students had practiced how to write an introductory paragraph, read my comments and made corrections, they would then return to the essay we were working on in class. Students had already written the body paragraph, so now they were charged with creating the introductory paragraph for a literary essay on Ray Bradbury's short story, "The Veldt." Hence, as students worked through their first drafts, they needed to engage their higher-level thinking skills as applied the elements of an introduction. This is indeed the EXTENSION phase. Although they can regurgitate the parts of an introduction, they have difficulty coming up with a Hook, bridging it to the topic without mentioning the TAG, and formulating the thesis statement. Also, students usually forget the TAG and are not always exactly sure of the focus of the essay. So while this seems simple, I was shocked to find how many students struggled when they had to write the introduction on "The Veldt." For some, this was very challenging, and they are most often surprised at how difficult it can be to write an introduction. It seems easy, but it definitely involves the integration of higher-level thinking skills and the application of the components of an introduction. Therefore, I encouraged students to revisit the HyperDoc during the EXTENSION phase as they worked on the rough draft of the introductory paragraph of the essay. 5. As an addition to the EXTENSION phase, students engaged in the revision and editing phase, and students SHARED their introductions with a partner as they peer-edited. It was great for each student to read an introductory paragraph written by one of his/her peers. A. From my experience, most students learn best from each other. As they peer-edited, I encouraged them to open and refer to the HyperDoc and comment on their partner's writing and integration of all of the necessary components. I also applied a rubric to the assignment and it clearly delineated what the introductory paragraph should consist of, so the students could use it as a checklist. My students don't always value the Sharing stage, but I do since it affords each student another pair of eyes before it comes to be for a grade. 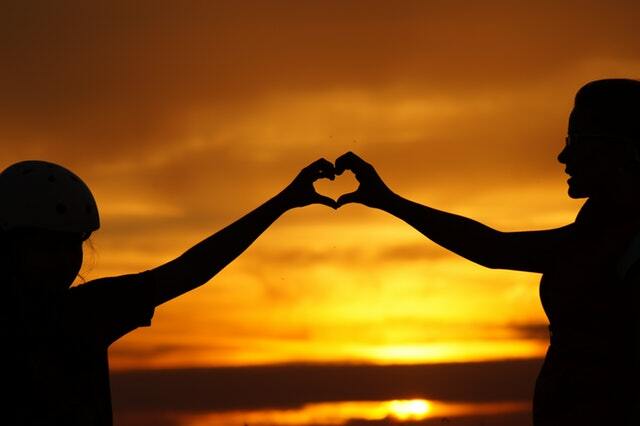 A peer-partner can read his/her partner's introduction, evaluate it against the rubric, and offer either praise or assistance before it is turned into me for formal assessment. It gives students another bow before the final curtain. Furthermore, I think students are often more comfortable being constructively criticized by a peer than by a teacher. I allow students to choose a peer editor of their choice, but I caution them to choose wisely as this person needs to be honest with his/her feedback and not let friendship get in the way of effectively evaluating his/her partner's paper. Furthermore, students come to realize that there is no such thing as one and done. Writing is rewriting. Also, by having received the rubric ahead of time, students know exactly how they will be evaluated. They know how they will earn their grade, and it is up to them to make sure their introductory paragraphs have all of the necessary components in the order they should be presented. So, just as the peer-editor did his/her job, the student must then go back and make any necessary changes that are indicated by the peer-editor. If he/she does not, he/she reaps what he/she sows. 6. As a result, I am sure you can see that this was a HyperDoc and not a digital worksheet! A. This HyperDoc required each student to engage, explore, explain, apply, share, reflect/ evaluate and extend his/her learning in an articulate, intellectual, and critical manner. and from their slides, they worked hard to create their introductions which they are ready to Share. I loved learning this new technology, and if you are intrigued, here is a great link to order the book on how to create a HyperDoc from the three ladies who coined the phrase. The book is called The HyperDoc Handbook: Digital Lesson Design Using Google Apps by Kelly Hilton, Lisa Highfill, and Sarah Landis. Check it out. If you are a fan of Facebook, I encourage you to join the FaceBook HyperDocs page and share it with your colleagues as well. Once you join, you can search and find ready-made HyperDoc lesson plans to use with your students. You can create your own as well. Let's briefly talk about GoGuardian! You can Guard your students and keep your students on their guard! If you are worried about allowing students to work independently on their Chromebooks I encourage you to use GoGuardian. Your school district administrator would most likely buy it for administrators and teachers, but if you visit the site, you can try it out and see how it works. You can create a session for each of your classes, and you are able to monitor students and let them know that you know what they are working on at any given moment. An account is very easy to set up for all of your classes. You can see on your computer screen what everyone is doing in your classroom when they are online. And, if your students are not doing what you asked, you can send messages to them to shut down inappropriate tabs, and you can even lock their computers! It's an awesome resource, for as a teacher, we don't have eyes that can be everywhere! Try it! Students are shocked when you check them! It's so funny. 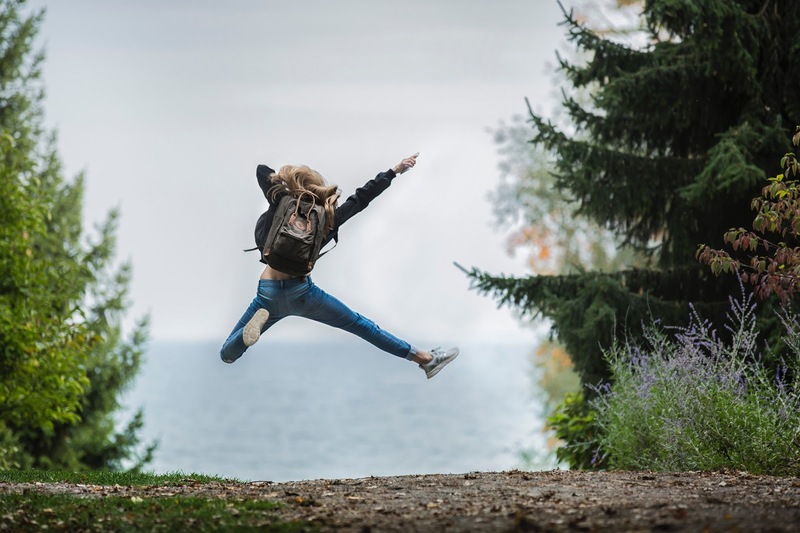 So, those are the 2 takeaways from this post on how to make kids Hyper and keep them on their Guard at the same time! Try HyperDocs and GoGuardian; you won't be sorry! You'll be invigorated, and so will your students. Again, click the links above and peruse them yourself. You will be so glad you did! As always, I thank you for stopping by and reading my words. Please share this with those you know who might be interested. If you try either in your classroom, I'd love to hear about it. I'd appreciate your leaving comments. I'd love some feedback. Until next time, I'll be writingupsidedown! The #1 Writing Prompt to Get Kids to Buy Into Writing! You are going to want to use this in your classroom! Do your students ever groan when you ask them to write ANYTHING? Does their writing lack voice and enthusiasm? 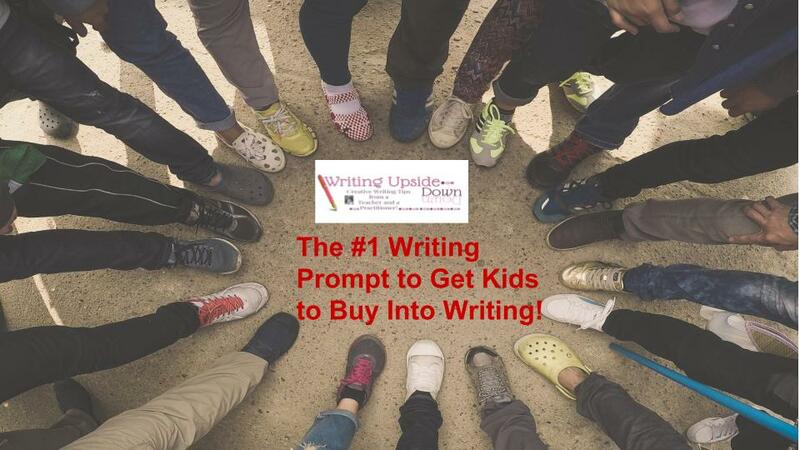 Wouldn't it be great to find a writing prompt that will get kids writing? This worked for my students, and I bet it WILL work well for yours, too! I didn't invent it, but I use it in my classroom once a week, and suddenly my students are invested in their writing. Best of all, they want to share it out loud, and it leads to a lively discussion. It renews my faith that I am teaching them the rudiments of good writing as I hear the components integrated into their paragraphs. Yet, most importantly, I hear their writing come to life. It has passion. What is this writing prompt, you ask? Would you rather I tell you now, or would you rather wait until the very end of this blog? How did I get kids to buy in? By Introducing Would You Rather questions into my classroom, and you can, too! Here's how I structure my classroom and find time once a week for the Would You Rather question, and you may want to try this out as well. As you know, I teach creative writing; however, you may not know that I also teach 3 periods of Eighth grade English Language Arts. I open each day of the week with a specific Do Now activity. I find this approach allows me to fit in the myriad of tasks integral to an English Language Arts classroom, but each only takes a few minutes a day! On Monday, it is called Our Monday Edit, where we review a grammar skill. Shakespeare Tuesday is the direct result of a request I received from a high school colleague which is to help prepare this group of incoming freshman by introducing them to the language of Shakespeare through his words, idioms, and quotes from his most popular plays. Word Wednesday is where and when I reinforce vocabulary from the text we are reading or introduce to students a new and interesting word they should incorporate into their writing or speech. Go to the Video Tape Thursday is where I share a video related to a skill we are mastering or to the literature we are reading. And finally, I end with Would You Rather Friday, which to my surprise is my students favorite Do Now day of the whole week! Each year I spend an exorbitant amount of time teaching my students to write a well-developed, cohesive paragraph, and it seems like I never get the kind of writing from my students that I want. Of course, like you, we go through the writing process, and I have my students review, practice and incorporate the 6 + 1 Traits of Writing into their paragraphs and essays. However, even though I use a mnemonic device to help my students learn the essential components of a paragraph, what I usually receive is boring, formulaic writing. The paragraphs are often flat and lack a real voice. Voice is hard to teach and even harder for students to grasp and incorporate into their writing. Students also don't elaborate. They write a sentence or two which are usually repetitive or boring. My students love Would You Rather writing prompts, and if you, like I, wish to see your students' writing come alive, I urge you to try them in your classroom a.s.a.p.! This is a link to LifeHacks, which has some really good Would You Rather questions to get your students started. Of course, beware: not all of them are appropriate, but the ones I have used with my students have proved provocative and have made my kids employ higher level thinking skills without struggling. Students elaborate and also seamlessly incorporate all the components I want in a paragraph. Would You Rather questions are the win-win writing prompt in my classroom, for sure! 1. I structure their responses to get the most bang for my buck. While they are having fun, they are also working on the components of a paragraph and their voice! A. I pose the Would You Rather question for the day; then, I ask students to simply write a TAPES paragraph. First, each student must choose the former or the latter as per the prompt, and this becomes a student's topic sentence. Then, he/she attaches/ adds the claim to the topic sentence with the word because, and he/she explains why he/she chose as he/she did. After the topic sentence and the claim, he/she practices elaborating on his/her claim. During elaboration, he/she must also bring in the counter choice/claim--the other choice he/she didn't choose--and explain why he/she did not choose it. This is great practice in persuasive/argumentative writing, for he/she acknowledges the other argument to lend further credibility to his/her own. Then, he/she sums up his/her paragraph. C. Another plus is that most students LOVE to read their paragraphs aloud! As students share, they read with so much confidence and authority. And, as they do, I listen intently. I listen to hear if they are using all the components of a TAPES paragraph, and invariably, they do. If they forget one, I gently critique what I hear, but they usually realize it when they are reading aloud and fix it without my prompting. I have encouraged students to always read their paragraphs aloud as a great revision skill. Before doing these types of paragraphs, they never would do it. Now, they see it's value. Viola! So many missions accomplished. "I love that I have a choice." "The topics are really interesting and intriguing." "I find I have so much to write about because the question relates directly to my own experience. It's not boring like the other stuff we usually are forced to write about." "I feel I really have to think in order to choose, and I have to think about how my choice will affect me." "I find I have so much to say, so I don't repeat myself over and over." "I have gotten better at writing a TAPES paragraph because we practice this every Friday." "I can write a TAPES paragraph faster, and I even use this in my other classes." "I look so forward to Friday. I can't wait to hear the choice!" "I love to hear what other kids think about the choice. I love to share, too." "Sometimes by listening to the other kids, I get a new perspective I didn't have until we did this kinda writing." "Writing a TALES paragraph isn't so hard when we sorta get to choose the topic with this kind of question." As a teacher, there is nothing better than positive student testimonials that reinforce that something they actually enjoy is an effective means to an end! For me, this is huge because it's sometimes hard to get eighth graders to deem anything fun or worthwhile. Well, I'm here to tell you that Would You Rather questions bring them alive! Well, of course, it's easy for students to write a TAPES paragraph because they are only giving their opinion and not providing textual evidence from a nonfiction/fictional narrative. revisit the literature they are currently working in, and ask students to find a line of textual evidence to support his/her choice. you can provide one article, or two separate articles, that presents a Pro and Con argument, and ask students to find a line of textual evidence to support his/her choice. He/she should find a line of textual evidence that supports his/her claim. Less is more. The line should be short as if it's not immediately evident why/how it supports the claim, the student will have more on which to elaborate! He/she MUST copy the line from the text exactly as it is written. He/she should use double quotes if it is not a direct quote or dialogue. If it is, he/she should use single quotes around the line he/she is lifting. He/she should provide a parenthetical citation with the author's name and page number. Example: (Traver,1). The period is placed after the final parenthesis. According to the text, "Would You Rather questions are the #1 way to get students to buy into writing"(Traver, 1). Students may moan a little and not find the TALES paragraph as fun as the TAPES paragraph, but it's a creative way to work on incorporating textual evidence. Kids love choice which is really the appeal. And finally, for those of you wondering if a Would You Rather question will work in the creative writing classroom, too? It sure does! My students always write for the first 10 minutes of class. 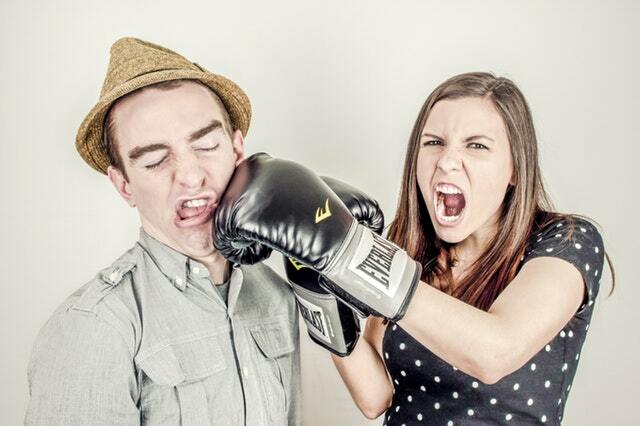 Would You Rather questions are a great way to engage them especially when they moan they have nothing to write about. I hope it is a game-changer, and I encourage you to try this technique in your classroom! When my blog is finished being renovated, if you have never knew about a TALES or TAPES paragraph before this blog, I will add an easy template to use with your students; you will be able to find it under the appropriate label in the sidebar section of my blog. I would love to hear from you if/when you use this suggestion. I'd love to know how it worked for you and your students. Also, if you put your own spin on it, I 'd love to hear that, too. Thanks for stopping by my blog. Please come back again. Sharing is caring! Please share and pin this post! Follow me on Facebook and Pinterest. I'll be back in another two weeks with another writing tip. All the best to you! 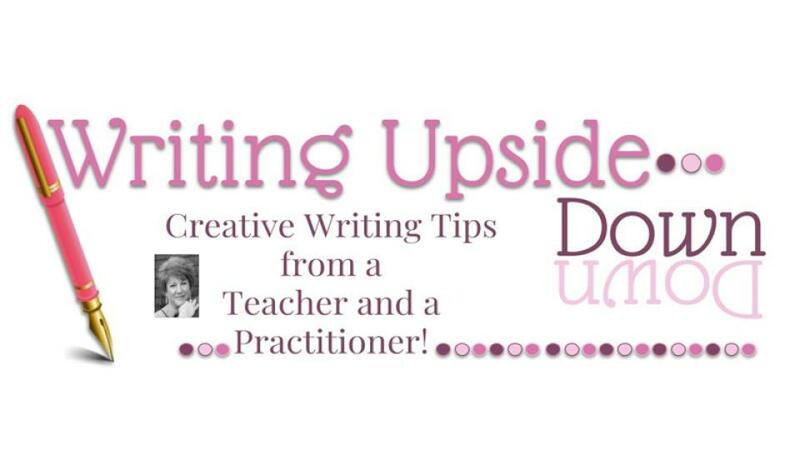 I will continue writing upside down to help you and me get write side up!